As you increase your training, muscular aches and ‘niggles’ may occur. Therefore it is essential you build up your training gradually. Never increase your mileage by more than 10% in a week and never increase both speed and distance in the same week. Vary your training surface and direction of your walk/jog/run. You don’t have to walk/jog/run all the time; include cross-training into your programme with cycling, rowing, and swimming. Including resistance and core training into your training programme will aid in preventing low back, hip, and lower limb injuries. Increased back/leg aches and pains may be a sign that your footwear needs to be changed. Never run if you feel unwell; do not attempt to catch up on lost mileage after illness/injury. This can cause further damage and result in a longer period off training. Better 3/4 days of rest than 3/4 weeks of frustration! As discussed in the last edition, ensure you perform an adequate warm up and static sustained stretches after training. Foam rolling involves using a small piece of equipment known as a foam roller to self release muscles that tighten during sport. 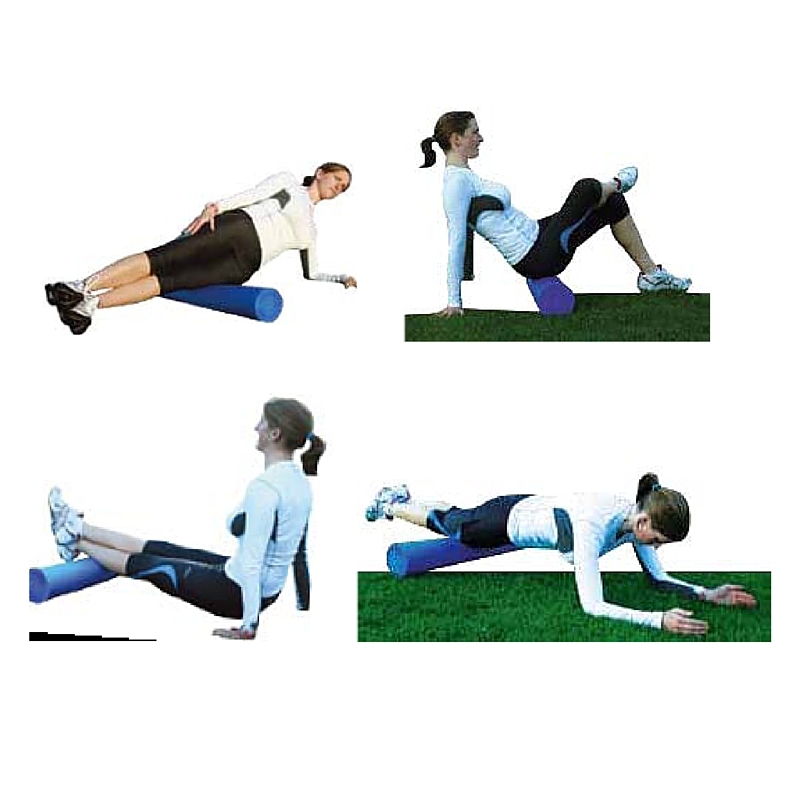 By alleviating muscle tightness pre exercise foam rolling helps prevent the onset of injuries. If used after exercise it will help reduce muscle soreness. Roll the foam roller over your muscle until you find the tender spot. Hold over the tender spot for approximately 30-60 seconds then roll along the muscle and repeat if you find another tender spot. Spend 1-2 minutes on each muscle group. See the examples in the pictures on this page of foam rolling for iliotibial band (ITB), gluteal, calf, and quadriceps muscles. 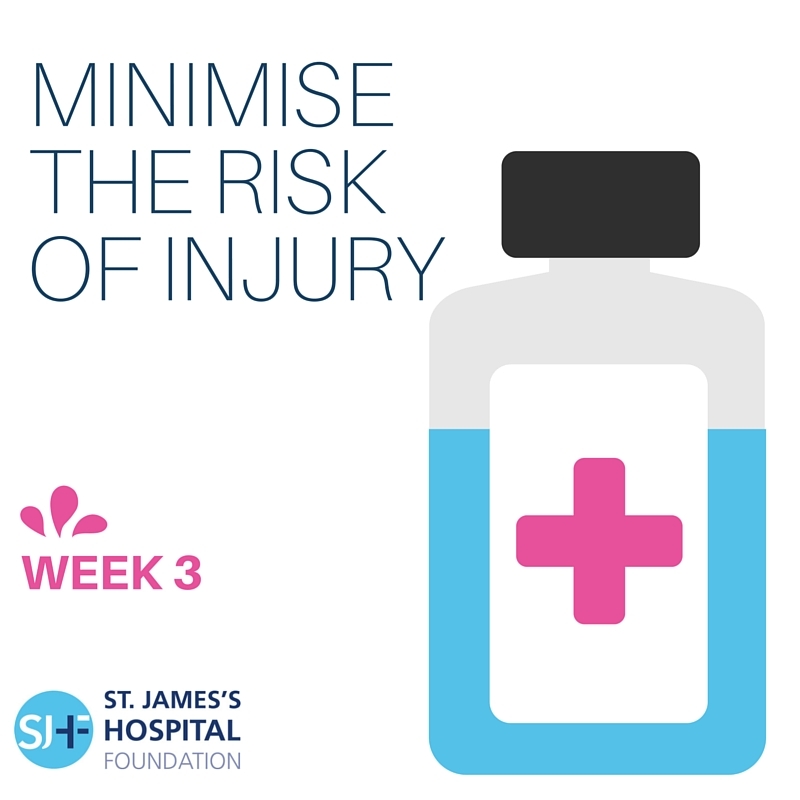 If an injury does occur follow this protocol. Consult a Chartered Physiotherapist if you have any aches, pain, or niggles that do not settle within a few days. They can perform an assessment, give you a diagnosis and treat you as required.